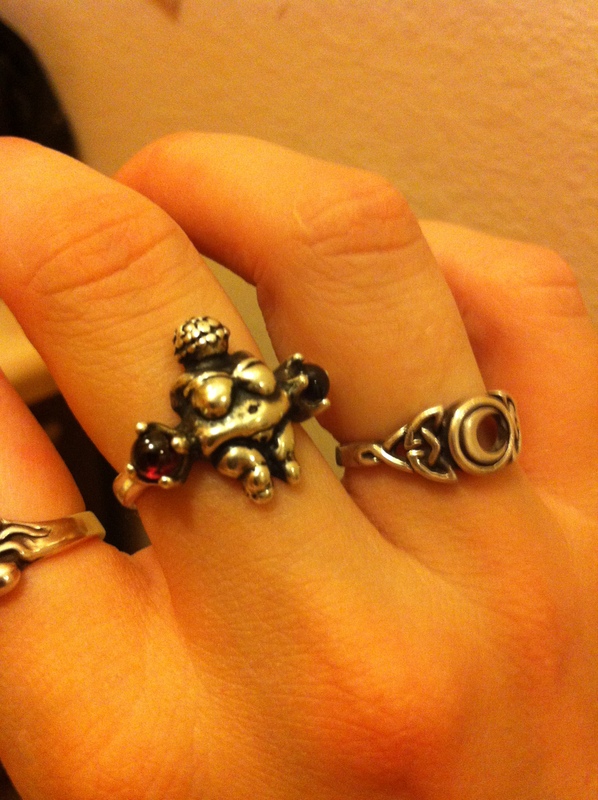 I would gladly buy a Venus of Willendorf ring. I’ve got size 7 (and maybe 8). 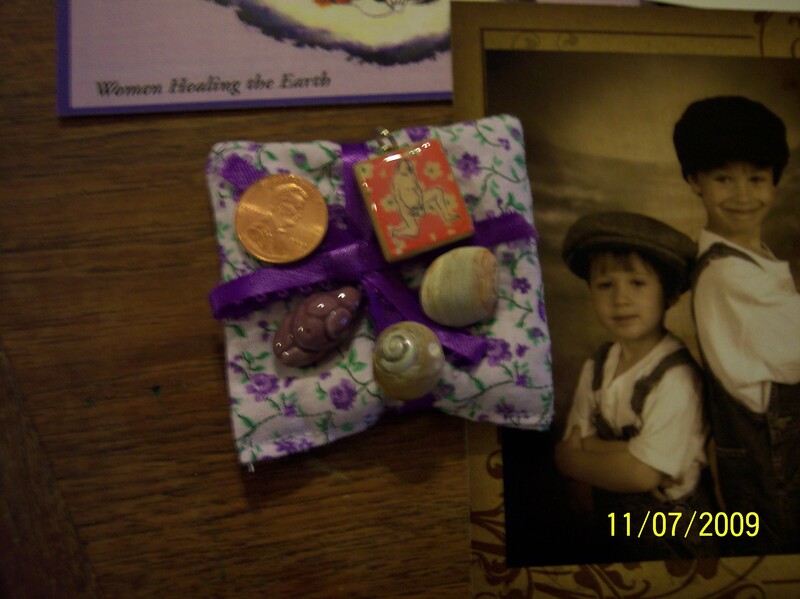 I have three actually–one with carnelian, one with moonstone, and one with onyx! If you’re interested, LMK, and I’ll set up an etsy listing for you. They are $56 each. Sterling silver. Yes, yes, and yes. Let me talk to the mister and measure my finger. It is possible for me to order additional rings custom cast if anyone else really, really wants one! I will take the carnelian. How much are you selling the ring for and what sizes do you have? I love it! I would like the moonstone one! I set up a listing! 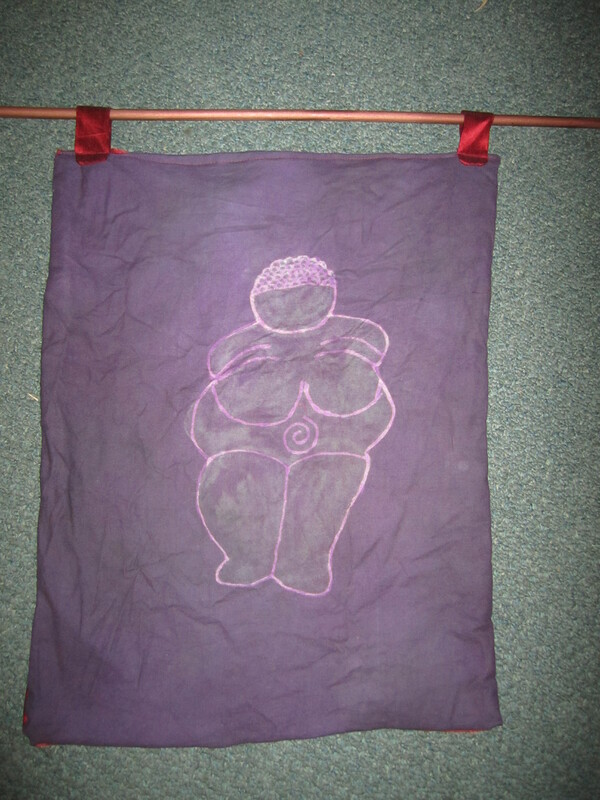 🙂 https://www.etsy.com/listing/182328956/reserved-for-brandilyn-goddess-of? Awesome! 🙂 I KNEW I couldn’t be the only one who loves her. I will take the carnelian! She looks just like me right now. 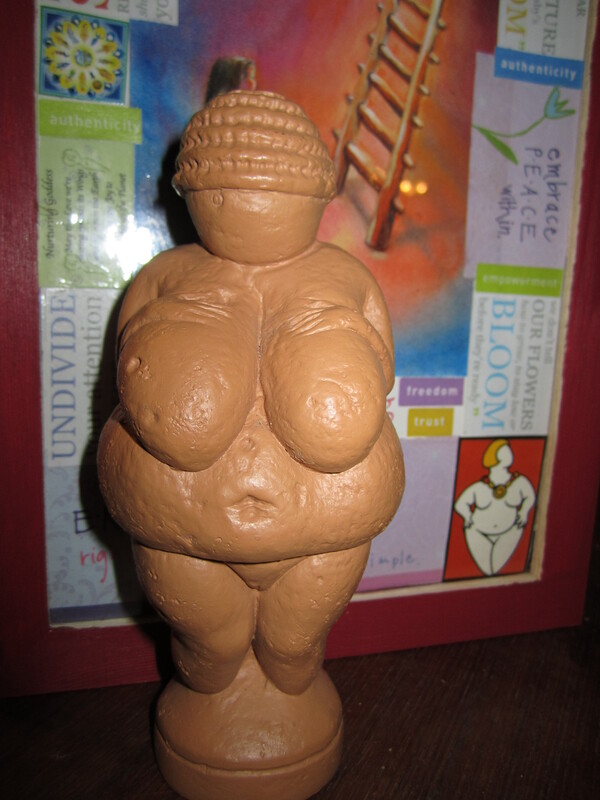 I stumbled on the picture of your ring – researching Venus of Willendorf for a painting I am working on. Considering this in now May 2016 I am sure there is no ring of her left? ….but if you don’t ask! 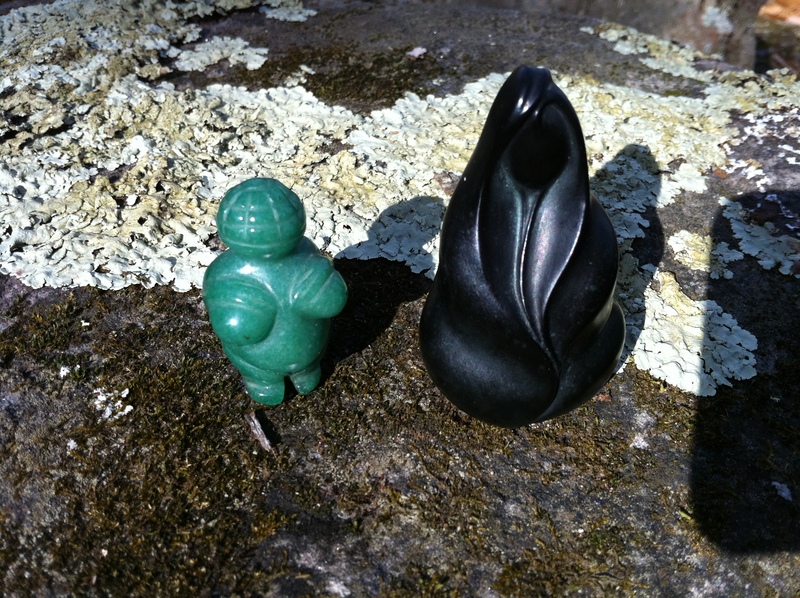 I have been in love with this little prehistoric figurine for years now! Thank you anyway for sharing your beautiful ring!